The new softer-edged car shares almost no parts with the aggressively angled Camaro available at dealerships now, according to GM. The only two parts the cars have in common, the automaker said in an announcement, are the Chevrolet bow-tie badge on the trunk and the SS badge on V8-powered SS models. The new Camaro will be at least 200 pounds lighter than today's model thanks to various weight-saving parts. A new design makes the car look lower and wider even though its actual dimensions are within 2 inches of the current Camaro. The new car will be available with V8 and V6 engines, each more powerful than the current car's V8 and V6, as well as with a turbocharged 4-cylinder engine. The new Camaro's 6.2-liter V8 is essentially the same engine used in the Chevrolet Corvette Stingray. 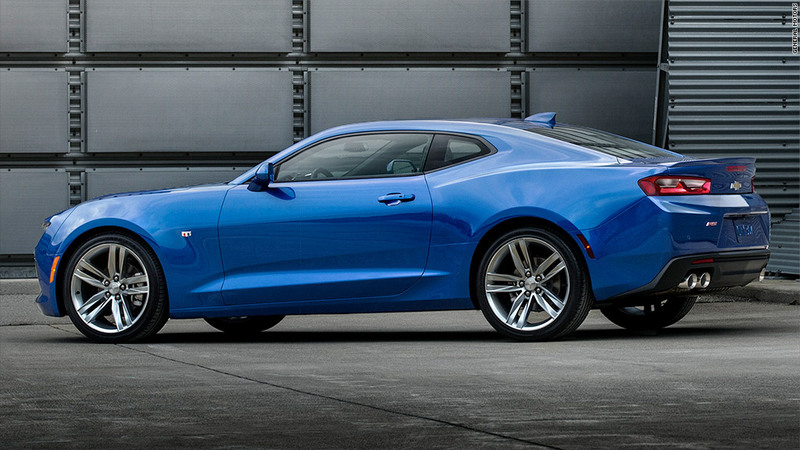 In the Camaro, it can produce up to 440 horsepower making it the most powerful Camaro SS ever offered. The V6 engine will be capable of producing 330 horsepower and the 4-cylinder 270. With the 4-cylinder engine, GM predicts, the Camaro will be able to get over 30 miles per gallon on the highway, making it the most fuel-effecient Camaro ever. The Ford (F) Mustang, a competitor to the Camaro, began offering a turbocharged 4-cylinder engine with its latest redesign for the 2015 model year. The 4-cylinder Mustang engine produces up to 310 horsepower and gets 31 miles per gallon on the highway, according to the EPA. 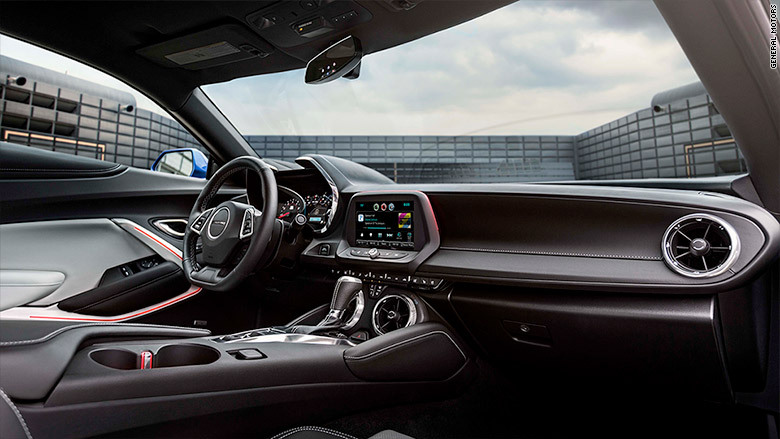 All the Camaro engine options have added technology to enhance the sound, something that has become common, especially on performance cars. The V6 and V8 have mechanical resonators that direct sound into the passenger compartment. Both also have special exhaust valves that by-pass the noise-reducing muffler under hard acceleration. The 4-cylinder engine will be offered with an audio system that "amplifies the native sound" of the engine through the stereo, according to GM. 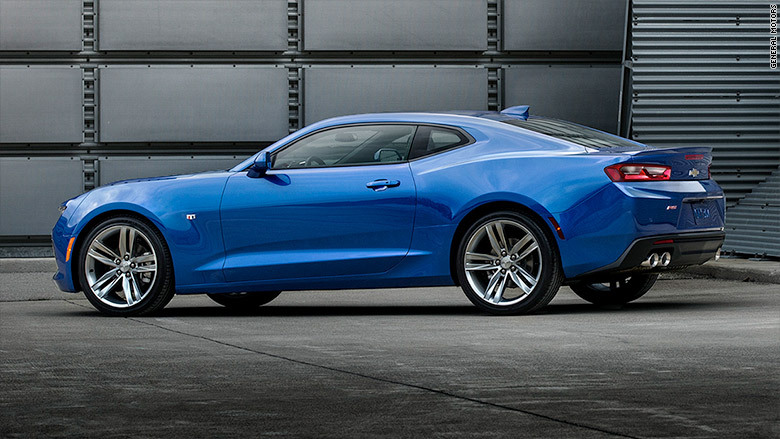 The Camaro SS will be offered Magnetic Ride Control technology that allows the driver to adjust the suspension stiffness for comfort or performance. 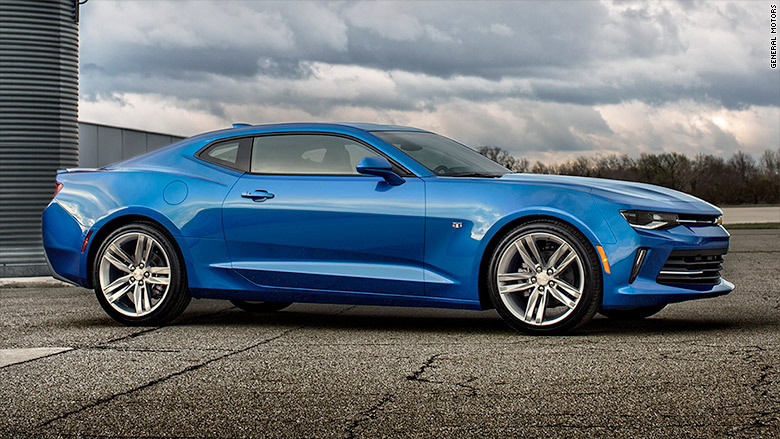 Previously, this was available only on the ultra-high-performance Camro ZL1. The Chevrolet Camaro first went into production in 1966 in response to Ford's hugely successful Mustang, which was introduced in 1964. The Camaro went out of production in 2002 but was brought back in 2010, again in apparent response to Ford's huge success with the retro-styled 2005 Mustang. Pricing and fuel economy figures for the new car will be announced closer to the time it goes on sale.